Social media platforms have changed the market landscape. 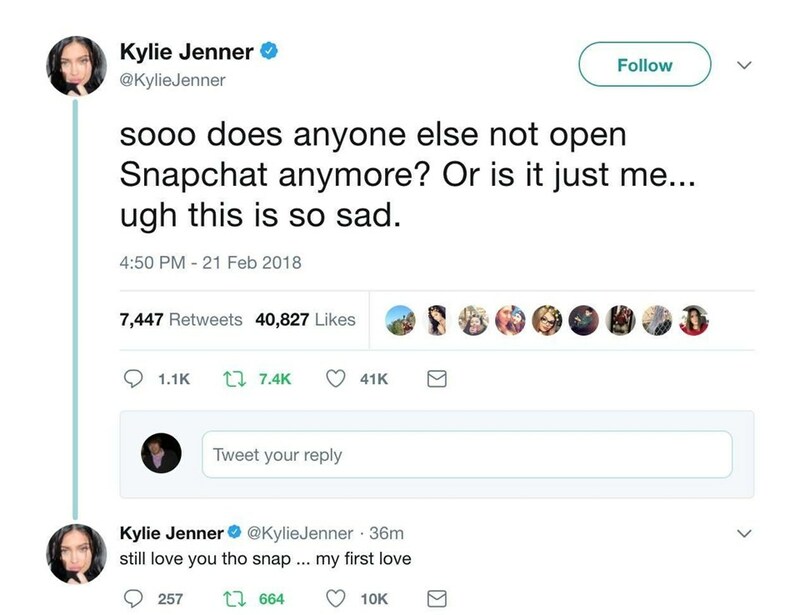 All it takes now is for Kylie Jenner to criticize your latest redesign, and you too could lose $1.3 billion off your company’s market value! From Bebo to Vero, individual channels have come and gone, but one thing has remained consistent: social media adoption and usage levels are on the ascent. According to WeAreSocial, out of a total global population of 7.6 billion, there are 3.2 billion active social media users. As almost half of the entire world uses social media, it’s in your brand’s best interest to establish a presence on key channels, create a killer social media marketing strategy, and captivate your target audience with serviceable content. But what do you do when that isn’t enough? While social media users have increased, organic social reach has decreased. Brands struggle to navigate ever-changing algorithms, and their content competes with an ever-growing surplus of user content. Between January and July 2016, for example, publishers saw a 52% decline in organic reach on Facebook. The majority of social media platforms have chosen to adopt a “relevancy over recency” model when displaying content, which significantly reduces the volume of posts that users see from brands. This can be a frustrating obstacle in a company’s quest to increase engagement and convert customers. A more positive repercussion, however, is the responsibility it places on brands to do more than simply fill their newsfeeds with self-serving promotional posts and expect it all to land and spread. This is also part of why paid advertising is now an essential component of any effective social media marketing strategy. With social ad platforms providing a variety of increasingly granular targeting options, social media ads are the most immediate and cost-effective way to raise brand awareness and maximize conversions amongst the most relevant audience. When they’re created and executed well, that is. Paid social can benefit business at every stage of the sales funnel. Engagement campaigns that increase your volume of social followers. Lead generation campaigns that take a user to an optimized landing page. Retargeting ads that finally secure an online product purchase. Having strict control of your budget down to the final cent and the ability to choose from a number of bidding models (CPC, CPM, CPV) gives you the opportunity to achieve the best possible ROI. As more brands begin to incorporate paid advertising into their use of social media, it’s essential to be able to communicate your company’s value proposition succinctly. In need of inspiration? Look no further than this video ad from personal training and audio fitness app Aaptiv. Aspirational and incentivizing, it uses a montage video to visually engage its audience with text overlay to communicate the app’s USP in a short, easy-to-consume words. Set yourself apart from competing advertisers and seize the massive opportunity these channels can offer by approaching paid social as tactically as possible. We’re here to show you how. For every $92 a brand spends trying to acquire customers, they spend only $1 on converting. Prioritize your conversion rate and secure your social media advertising success by making the most of your available ad targeting options. Ad platforms have refined these capabilities significantly over the years. Basic options like location-based targeting or simple demographic data are no longer enough to ensure relevancy. This relevancy is integral to achieving your advertising goals. In a survey, 51% of social media users said they would unfollow brands if they were subjected to irritating posts. 27% said they would mark/report the page as spam and block them. The solution? Be super specific in your targeting to create a custom audience that will be amenable to your ad. The basic information like age, gender, and the location is still useful. Those can help determine on which channels to deliver ads and when to deliver them. In other words, they form your high-level customer persona. After that, you can go granular. Interest targeting will help you to build an audience based on the things they like and share on their Twitter or Facebook page. Behavioral targeting means you can use data such as a user’s browsing history and previous purchases to discern if they’ll be interested in your ad. Beyond that, you can use criteria including income, level of education, and even what device your audience is using. The deeper you drill, the more likely it is that you’ll make the most of your ad spend and achieve your goals. Don’t forget to use exclusion targeting, too. This is a great way to reduce budget spent on fruitless clicks. Instead, your spend will reach an audience that is more inclined to convert. You can be careful to not waste money on displaying ads to people who have no reason to engage, like existing customers or users who are too geographically far from a brick-and-mortar store. Social media marketing is now synonymous with video and the power of virality. It has established itself as a highly effective format within an ad campaign. Leveraging video is especially important if your target audience is active on apps like Instagram or Snapchat. Yet to be convinced? With more than 5 billion videos viewed on YouTube and 10 billion views generated through Snapchat every single day, video now dominates social media platforms. Faced with an audience with limited attention spans and a tendency to quickly scroll past content, video can excite and engage users just long enough to allow you to convert by conveying your brand message in an eye-catching 60 second burst. Now an essential asset for a successful marketer rather than a newfangled novelty, 51.9% of marketing professionals worldwide cite video as the type of content with the best ROI. All you need to do is deliver the right type of video at the right time for the right device. A high volume of video content is consumed on mobile, and much of it autoplays in social feeds on mute. Subtitles or text overlay are often useful—if not essential—additions. If you choose to leverage Instagram Stories or Snapchat, keep your video around 10-20 seconds. Any longer, and your audience may disengage. Finally, craft your content angle according to the channel. YouTube and Facebook can accommodate longer-form videos like product demos, tutorials, informative FAQs, and artful brand videos. Instagram, Snapchat, and Twitter are better suited to short teasers and promotional clips. This is a fantastic example from Adobe, who leveraged User-Generated Content by interviewing May Parsey, a student and artist who uses their Photoshop and Illustrator products—and whose work became the brand’s advertising. It worked as an authentic product testimonial, humanized the Adobe brand, and showcased May’s work simultaneously! In one month, Adobe’s engagement grew 12% across Facebook, Twitter, YouTube and Instagram. Once confined to the ancient channel of direct mail marketing, split (or A/B) testing has become a mainstay of marketers. A low investment and high yield is, of course, every astute business’s dream, but it’s particularly important for small businesses, startups and anybody else who has significantly limited ad spend. If you want to make a lot out of a little, split testing is a necessary practice. In fact, using the right targeting and testing methods can increase conversion rates up to 300%! A/B testing is the single most important method of finding out what works—and what doesn’t. Ad copy. Header images. Button CTAs. These can all be A/B tested. Does a Tweet work best among your followers with a video or an image? What drives uses to your website, a carousel ad on Facebook or a link ad? Should the tone be casually light-hearted or professional and to the point? Once you’ve established which version A or version B better converts potential customers, you can feel confident that your newly optimized campaign will perform well. Plus, you can control your ad spend more confidently. It’s also worth A/B testing organic content, as this will give you an invaluable insight into what kind of content performs best and should be incorporated into a paid campaign. You can A/B test your social media ads manually by choosing one element to test and creating two separate ads which can each be displayed to a small user segment. By measuring their performance, you’ll be able to discern which ad will do the best job of optimizing your conversion rate in your entire target audience. To make this even easier, Facebook has launched an A/B test feature. This can identify which delivery settings, bidding amounts, audience profile, and ad placements will deliver the best results for you. Once you’ve picked the element you want to test, you can enter your testing budget and let Facebook know when and for how long you want to run the test. It’s best to let the test run until you accrue at least 100-200 clicks so you have enough data to make an informed analysis. Social media advertising revenue in the US alone is estimated to reach $15 billion by the end of this year and $17.34 billion in 2019, a clear indication of its growing popularity and efficacy. If you haven’t already, start planning a paid social ad campaign today and let us know how it performs!